Behavioral Neurological Science is a subspecialty of neurology that studies the neurological basis of behavior, memory, and cognition, the impact of neurological damage and disease upon these functions, and the treatment thereof. Two fields associated with behavioral neurology are neuropsychiatry and neuropsychology. Behavioral Neurological Science is defined as a medical subspecialty committed to better understanding links between neuroscience and behavior, and to the care of individuals with neurologically based behavioral disturbances. Behavioral Neurology, formerly Neuropsychiatry, Neuropsychology, and Behavioral Neurology, provides a focused forum for the discussion of scientific approaches to the neurobiology of abnormal behaviors. 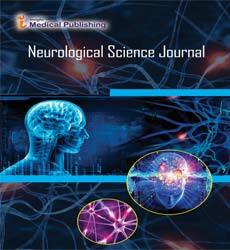 Historically, the principal emphasis of Behavioral Neurology has been to characterize the phenomenology and pathophysiology of intellectual disturbances in relation to brain dysfunction, clinical diagnosis, and treatment. Behavioral Neurology encompasses three general types of clinical syndromes: 1) diffuse and multifocal brain disorders affecting cognition and behavior (e.g. delirium and dementia), 2) neurobehavioral syndromes associated with focal brain lesions (e.g. aphasia, amnesia, agnosia, apraxia), and 3) neuropsychiatric manifestations of neurological disorders (e.g. depression, mania, psychoses, anxiety, personality changes, or obsessive-compulsive disorders, which may accompany diseases such as epilepsy, cerebrovascular disease, traumatic brain injury, or multiple sclerosis). These syndromic categories may be etiologically subdivided into either primary (e.g: neurodegenerative) and secondary (e.g. systemic toxic-metabolic) brain disorders, or on the basis of developmental, inherited, or sporadic (acquired) mode of occurrence.